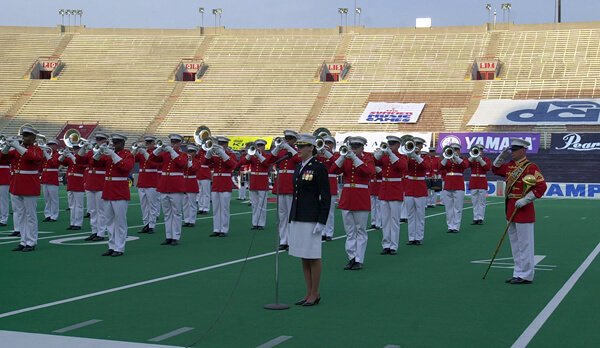 For many years, "The Commandant's Own," The United States Marine Drum & Bugle Corps has been a strategic partner of Drum Corps International and a perennial featured performer at the DCI World Championships. Here's a shot looking at the corps' performance during the 2002 World Championship Finals at Camp Randall Stadium in Madison, Wis. Thank you to all of America's heroes on this Veterans Day. We salute you!